Second successful flight of the Space Radar Laboratory (SRL) payload studying the Earth’s land surface, oceans, and atmosphere as a key element in NASA’s Mission to Planet Earth. Successful testing of a new radar technique called “interferometry.” Endeavour obtained topographic information of unprecedented clarity by using slightly different shuttle positions to provide 3 dimensional images of the terrain. Gathered global air pollution data with the Measure­ment of Air Pollution from Satellites (MAPS) instru­ment. MAPS measures atmospheric carbon monoxide, monitoring its production and transport around the globe. Compared radar imaging results with those from SRL-1 (STS-59, in April ’94), determining the impact of natural and human change on Earth’s ecology, hydrology, oceanography, and geology. Operating around-the-clock and unaffected by weather, SRL-2’s radar instruments mapped 9% of Earth’s surface. Demonstrated the ability of an advanced, multi-fre­quency, multi-polarized radar to assess the state of Earth’s surface over a full seasonal cycle, laying the groundwork for a permanent environmental monitor­ing platform. Scanned large areas of the Southern Ocean with an on-board radar processor to reveal important information on wave and storm dynamics in this antarctic sea. Conducted investigations into plant reproduction under microgravity conditions, and produced large, high-quality protein crystals for analysis of the molecular structure of alpha-interferon, a cancer­ fighting drug. Forged international scientific links with the Spaceborne Imaging Radar-C and the X-Band Synthetic Aperture Radar (SIR-C/X-SAR) experiments.­ The SIR-C/X-SAR science team included 49 science investigators and 3 associates repre­senting a total of thirteen nations. Flew the first in a new series of life sciences experi­ments, “Biological Research in Canisters (BRIC), which subjects small organisms to microgravity in search of subtle effects on reproduction and growth. The goal of the 65th space shuttle mission was to demonstrate again the potential of new technolo­gy in observing the home planet from space. Endeavour’s vantage point, offering near-global access and a broad view of Earth below, provided a superb test of the Space Radar Laboratory’s capabilities for surface and atmospheric monitoring. 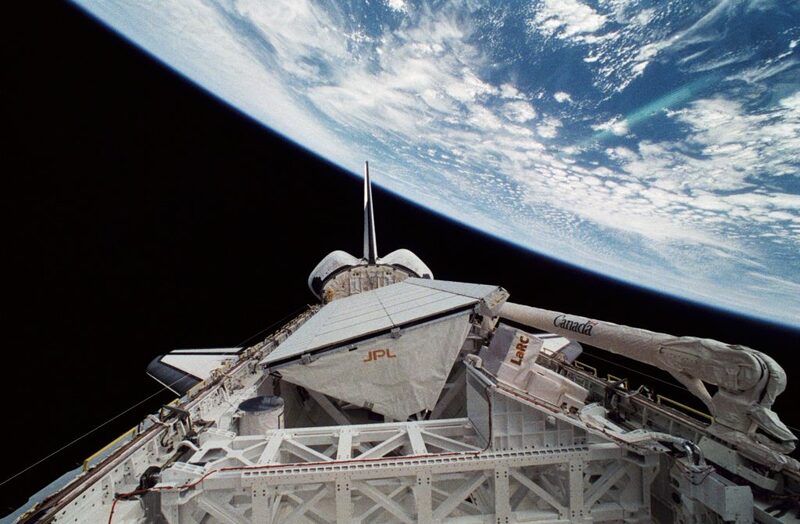 As they did on the first Radar Lab flight on STS-59 in April, SRL’s imaging radars (SIR-C/X-SAR) again made surface measure­ments without regard to darkness or the weather below, providing the kind of access necessary for permanent monitoring of the global environment. Complementing the radar experiments, Endeavour’s atmospheric pollu­tion sensor (MAPS) tracked global production and distribution of carbon monoxide, an important combustion-produced trace gas that plays a role in the chemical pathways leading to air pollution and possible global warming. SIR-C/X-SAR is the most advanced civil radar flown in space. The system was designed and built by NASA, the German Space Agency (DARA) and the Italian Space Agency (ASI). Jet Propulsion Lab devel­oped the SIR-C (C and L-band radars) for NASA, and DARA and ASI developed the X-band system; all three helped integrate the system into a single, flexible Earth-sensing tool. Radar waves can penetrate clouds, and under certain conditions, can also see through vegeta­tion, dry snow and extremely dry sand. In many cases, radar is the only way scientists can explore inaccessible regions of Earth’s surface. SIR-C/X-SAR transmits pulses of radio energy at three different frequencies, creating detailed images of the surface that are tailored to detect soil and rocks (geology) , ocean waves and currents (oceanography), vegetation density and type (ecology), and water in the form of soil moisture, snow, ice, and rivers and lakes (hydrology). 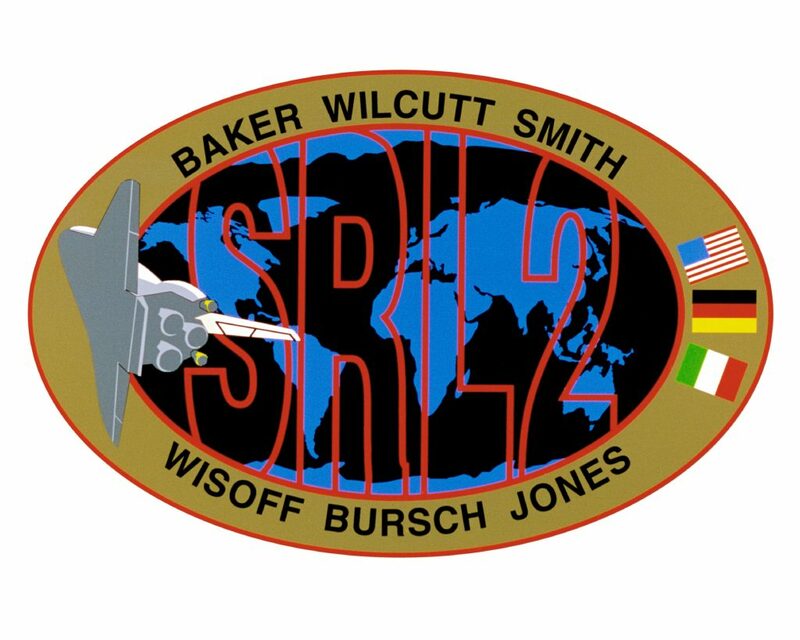 SIR-C/X-SAR first flew on STS-59 (SRL-1) in April of 1994. Repeating the environmental measure­ments in a different season would prove radar’s ability to serve eventually as a permanent monitor of Earth’s environment, tracking both natural and man-made changes on the planet. The Measurement of Air Pollution from Satellites (MAPS) experiment flew for the fourth time aboard STS-68. MAPS operated around the clock, measuring concentrations of carbon monoxide (CO) around the globe. CO plays a key role in the chemical reaction pathways of the troposphere (the lowest, weather-filled layer of the atmosphere). It combines with hydroxyl radical (OH) and forms carbon dioxide (CO2). OH has a prime role in the breakdown and removal of greenhouse gases such as methane (CH4). If increasing CO, released from combustion processes, reduces the amount of hydroxyl radical in the air, then the breakdown of greenhouse gases will also slow down.Thus measuring CO’s global abundance is important in understanding how human-caused and natural combustion sources are affecting the global warming process. On SRL-2, MAPS again worked flawlessly, and recorded a markedly different pattern of CO abun­dance than seen on SRL-1 in April ’94.The SRL-2 results showed heavy concentrations of CO from bio­mass (vegetation) burning in the tropics, with the greatest amounts over southeast Asia and the tropics of Africa and South America. Industrial sources of CO in the northern hemisphere were still present, but at lower levels than seen in April. As on SRL-1, the crew’s reports of fires, smoke, and the storms that loft CO to high altitude were used to confirm MAPS readings, and correlate MAPS and ground measurements. at the hundreds of science sites around the globe. The crew provided needed “ground truth” to prove the accuracy of the radar data by taking over 13,000 images of the Earth with 14 different cameras. SRL-2 examined Earth at over 400 specific sites, chosen for their environmental significance. Nineteen were “supersites;’ high priority focal points for data collection, where each science discipline­ ecology, hydrology, oceanography, geology, and radar calibration-concentrated their experiments. Intensive field work occurred at these sites before, during, and after the mission. SRL-2 joined SRL-1 in acquiring 100% of the mission’s planned science observations. In addition, the science team redirected the radars during the flight to take advantage of rapidly changing conditions on the ground. The best example of this retargeting was the reaction to the spectacular eruption of Kliuchevskoi volcano, which exploded into life just hours after STS-68’s launch on 30 September. The SIR-C/X-SAR team was able to replan upcoming passes over the Kam­chatka Peninsula to study the entire course of the week-long eruption. Not only was the crew among the first witnesses to the eruption, but they tracked its progress daily, providing the most detailed documenta­tion of a large eruption ever obtained from space. Tree classification and vegetation biomass (amount of plant material) maps of the Raco, MI, supersite. A map of river flooding near Manaus, Brazil–the first step toward improving models of both flooding and wetlands under dense rain forest canopies. Snow wetness maps (showing free liquid water content of the snow pack) of Oetztal, Austria, and accurate estimates of the amount of water stored in the snowpack there. Extensive wave-energy measurements over the Southern Ocean that show the dominant sea states in the stormiest ocean region on the planet. Detection of oil spills in the North Sea. SIR-C/X-SAR detected industrial and natural oils in spill amounts as small as 10 liters, demonstrating another advantage of environmental monitoring from space. Monitoring of changes in the shape and extent of glaciers in the Patagonian Andes, at the far south­ern tip of South America. These remote glaciers are among the most rapidly advancing in the world, and may serve as sensitive indicators of global climate change. SRL-2 demonstrated a powerful new use of radar, called interferometry, that produces three-dimen­sional maps of Earth’s surface. Mission Control and the crew combined to perform the most precise orbital maneuvers of the shuttle program, putting Endeavour in an orbit for the first 6 days that nearly matched SRL-1’s flight path in April. At times the two orbits differed by only 10 meters. For days 7-10, the crew lowered the orbit to a height of 200 km, an altitude that put Endeavour on a path matching its previous day’s ground track. 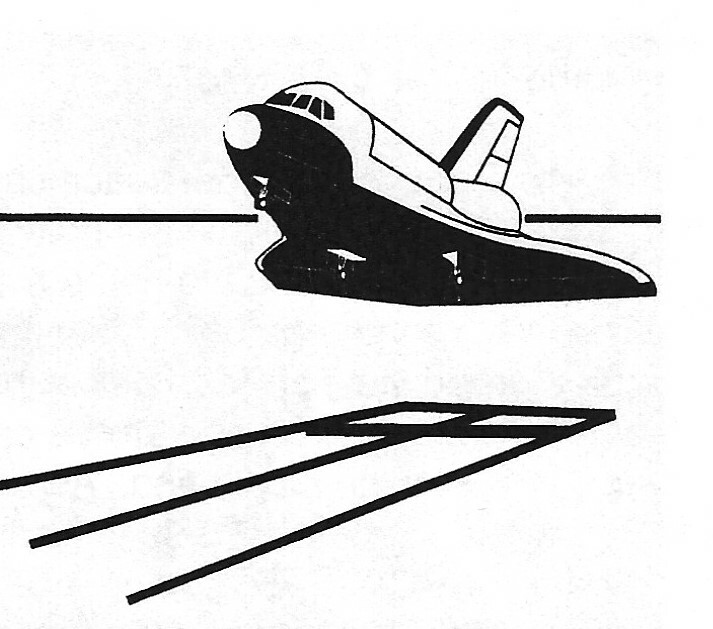 This exacting navigation (where the crew trimmed orbital velocity to an accuracy of 1 part in 2 million) produced long swaths of interferometric data. The resulting digital elevation maps can show not only the ground’s elevation, but changes in height of just a few centimeters–actual shifts in Earth’s crust. The tech­nique should prove to be a powerful tool for detecting stress building up on or under Earth’s surface, warning, for example, of imminent volcanic activity. 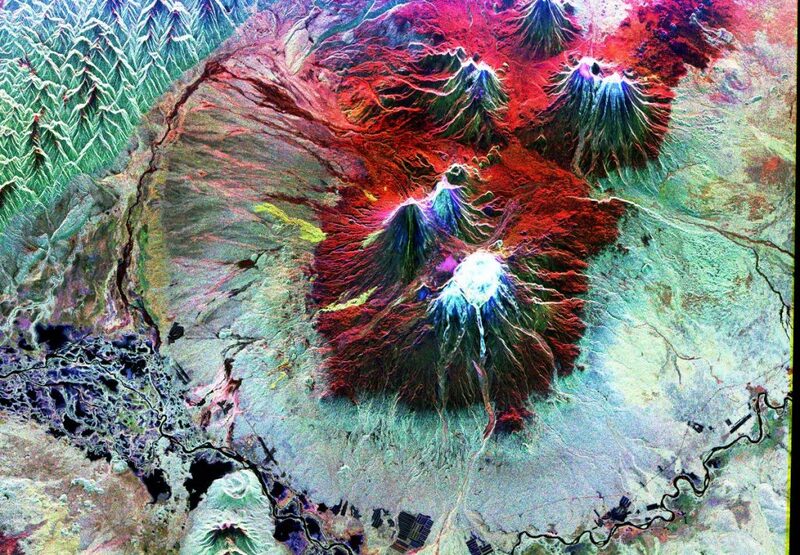 SRL-2’s space radar also examined several areas of cultural interest, including the mountain gorilla habitat in central Africa, the ancient trade route called the Silk Road in China’s northwestern desert, the lost city of Ubar on the Arabian Peninsula, and buried river channels under the Sahara. Experiments to benefit Earth took place inside the crew module as well. Commercial Protein Growth (CPCG), flown “downstairs” on Endeavour’s middeck, grew and preserved high quality protein crystals of sufficient size and purity to permit analysis of their structure back on Earth. This structural information will be put to use in the manufacture of alpha-interferon, a cancer-fighting drug. Early in the mission, the crew solved an overheating problem in the experiment by rigging a temporary cooling duct to its fan inlets, assuring the proper conditions for crystal growth. 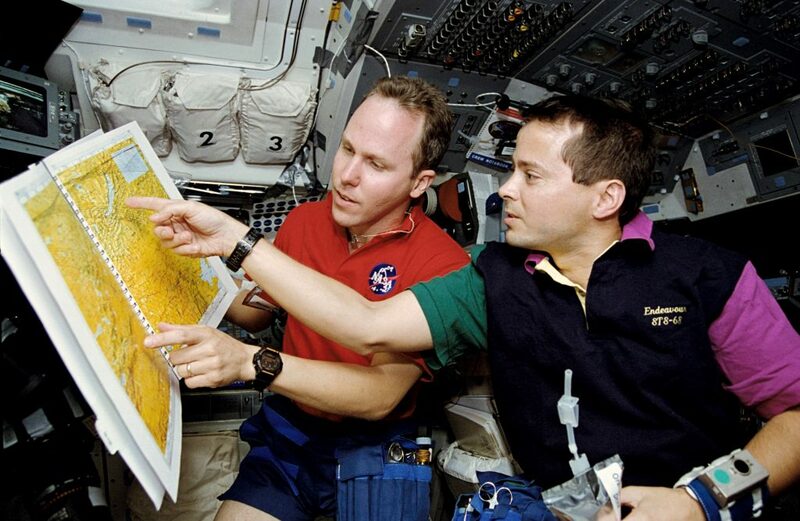 The crew also operated the Chromosome and Plant Cell Division in Space (CMIX) experiment, inves­tigating the effects of microgravity on plant reproduc­tion. Small, rapidly growing plants called mouse-eared cress grew to maturity in their 11 days in free-fall, giv­ing insight not only into cell reproduction in space, but also into practical methods for growing plants for food and waste recycling on long-duration space missions. In another middeck locker experiment-Biologi­cal Research in Canisters (BRIC)-hundreds of dor­mant gypsy moth larvae underwent exposure to free­ fall to see if microgravity would affect their metamor­phosis into adults. Identifying gravity’s effect on the process may lead to efficient production of sterile moths to combat this forest pest. The crew also sys­tematically measured cabin radiation levels to assess long-term hazards of living in space, and photo­graphed ships’ wakes from orbit to assess how cloud formation is affected by exhaust emissions. The crew took on another job, serving as labo­ratory subjects in a series of space medical experi­ments. They examined how coordination of head and eye movements degrades as the brain adapts to microgravity; recorded how free-fall affects the body’s sleep-wake cycle and hormone levels; and measured the heart’s response as Endeavour returned to the full force of gravity during re-entry and landing. These investigations will help prepare for the long stays in microgravity planned aboard the Space Station. Endeavour’s landing at Edwards AFB capped a superb mission to Planet Earth. SIR-C/X-SAR imaged 83 million square kilometers of the Earth’s surface, about 9% of the globe. The radar experiments filled 199 magnetic tape cassettes, which held over 60 ter­abits (60 trillion bits) of imagery data–the equivalent of 25,000 encyclopedia volumes. MAPS created a series of global carbon monoxide maps, tracing the path of pollutants through Earth’s dynamic atmos­phere. Endeavour’s crew brought back the largest complement of Earth photography of the Shuttle pro­gram to date, a record of Earth’s environmental changes that will aid greatly the interpretation of the radar and MAPS results. STS-68 completed the proof­ test of spaceborne radar as a tool for permanent, long-term monitoring of our planet’s health. Michael Baker was born in Memphis, Tennessee, but considers Lemoore, California, to be his hometown. He received a bachelor of science degree in aerospace engineering from the University of Texas. After completing flight training, he flew the A-7E aircraft aboard the USS Midway. He conducted A-7 aircraft-related tests on the various aircraft carriers in the Navy’s fleet. Baker served as an instructor at the U.S. Naval Test Pilot School before assignment as the U.S. Navy Exchange Instructor at the Empire Test Pilots’ School in Boscombe Down, England. He has logged over 4,200 hours flying time in some 50 different types of aircraft, and has completed over 300 carrier landings. 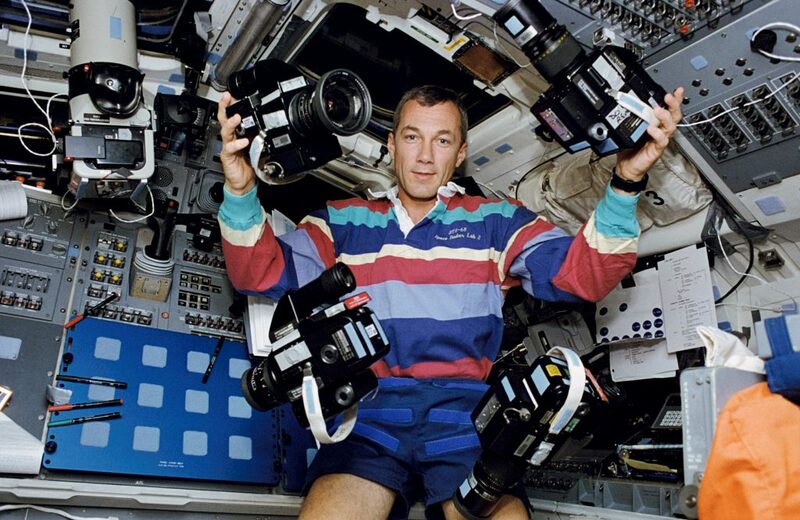 He was named an astronaut in 1985, and was pilot of the STS-43 and STS-52 missions. Terrence Wilcutt was born in Russellville, Kentucky. He graduated with a bach­elor of arts degree in mathematics from Western Kentucky University. Upon graduation, Wilcutt taught high school math for two years and then entered the U.S. Marine Corps. He earned his wings in 1978 and served on various assignments in Hawaii and overseas in aircraft such as the F-4 Phantom, FA- 18 Hornet, and the A-7 Corsair II. Wilcutt attended the Naval Fighter Weapons School (Top Gun) and the U.S. Naval Test Pilot School. He has over 3,000 flight hours in more than 30 different kinds of aircraft. Wilcutt was selected as an astronaut in 1990 and has served in a variety of responsibilities including Space Shuttle main engine and external tank issues and launch support. This was his first space flight. Thomas David Jones was born in Baltimore, Maryland. He earned a bachelor of science degree in basic sciences from the U. S. Air Force Academy and a Ph.D. in planetary sciences from the University of Arizona. As an Air Force offi­cer, he served as a B-52 strategic bomber pilot and aircraft commander, accu­mulating over 2,000 hours of flight experience.After leaving the Air Force, Jones worked toward his doctorate, using remote sensing to investigate the composition of asteroids and meteorites, and researching the utility of asteroid resources in space exploration. He was a program management engineer for the CIA’s Office of Development and Engineering and later a senior scientist at Science Applications International Corporation, analyzing future missions to Mars, asteroids, and the outer solar system. He was selected as an astronaut by NASA in 1990. Jones flew in space on the STS-59 mission; this was his second flight on Endeavour. Steven Smith was born in Phoenix, Arizona, but considers San Jose, California, to be his hometown. Smith received a bachelor of science degree in electrical engineering, master of science degree in electrical engineering, and a master’s degree in business administration, all from Stanford University.He worked for IBM in the Large Scale Integration (semiconductor) Technology Group as a technical group lead. 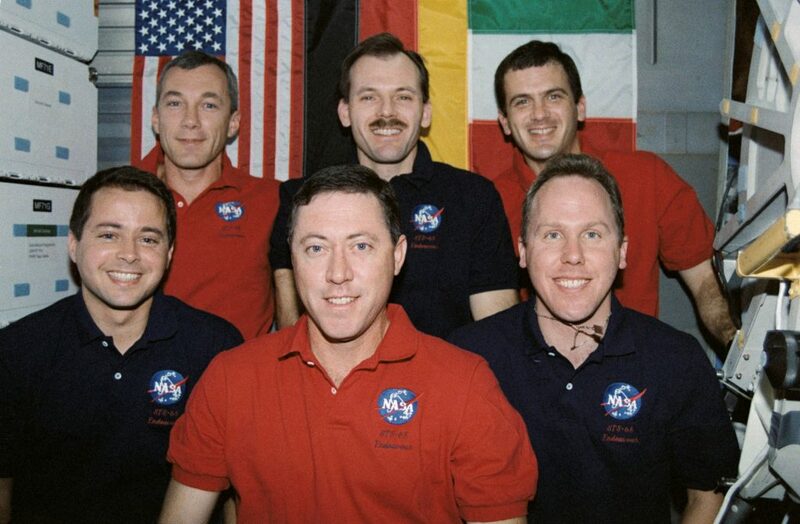 Smith joined NASA in 1989 in the Payload Operation Branch, Mission Operations Directorate. As a payload officer, his duties included payload integration and mission support. He was selected as an astronaut in 1992 and has provided Space Shuttle support in the areas of main engines, solid rocket boosters, and the external tank. This was his first space flight. Peter J. K. Wisoff was born in Norfolk,Virginia. He received a bachelor of science degree in physics from the University of Virginia and a master of science degree and doctorate in applied physics from Stanford University. Upon gradu­ation, he joined the faculty of .Rice University in the Department of Electrical and Computer Engineering. His research focused on the development of new vacuum ultraviolet and high intensity laser sources. He also worked with researchers from regional Texas medical centers on the use of lasers in rebuilding damaged nerves. Wisoff has contributed numerous papers at tech­nical conferences and in journals in the areas of lasers and laser applications. He was named an astronaut in 1990 and was a mission specialist aboard STS-57 as well as STS-68. Daniel Bursch was born in Bristol, Pennsylvania, but considers Vestal, New York, his hometown. He earned a bachelor of science degree in physics from the U.S. Naval Academy, and a master of science degree in engineering science from the Naval Postgraduate School. After training as an A-6E Intruder bombardier/navigator, he served aboard the USS John F. Kennedy and USS America. After working as a project test flight officer for the A-6 Intruder, he served as a flight instructor at the U.S. Naval Test Pilot School. Bursch worked as Strike Operations Officer for Commander, Cruiser-Destroyer Group 1, making deployments to the Indian Ocean aboard the USS Long Beach and USS Midway. He has over 2,100 flight hours in more than 35 different aircraft. 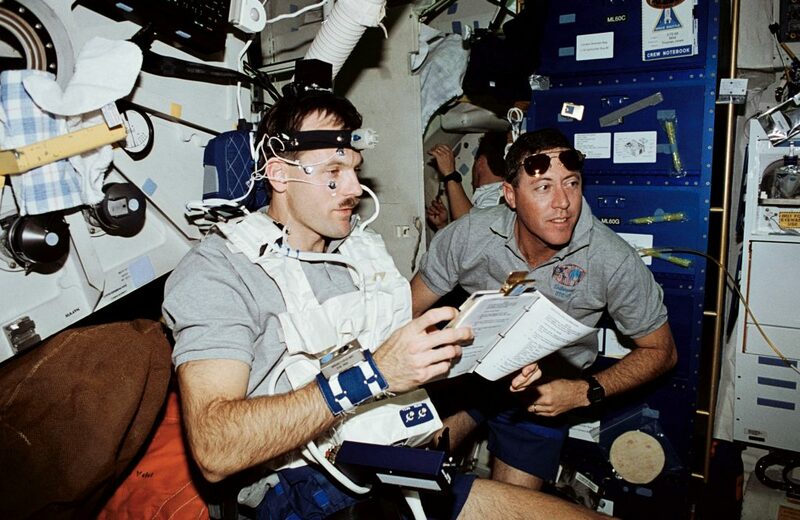 Bursch was selected as an astronaut in 1990 and flew as a mission specialist aboard STS-51 and STS-68. Read about the STS-68 mission and its highlights in my memoir, “Sky Walking,” available at this website, www.AstronautTomJones.com. To book a speech about these and my other spaceflight experiences, please contact the WorldWide Speakers Group, here. Excellent page, Preserve the great work. Many thanks!.